These fun and engaging business cards are a great way to make sure you and your business stands out from the crowd. The pop-up element within these business cards increases the length of time taken to look at your card and makes you and your company more memorable. 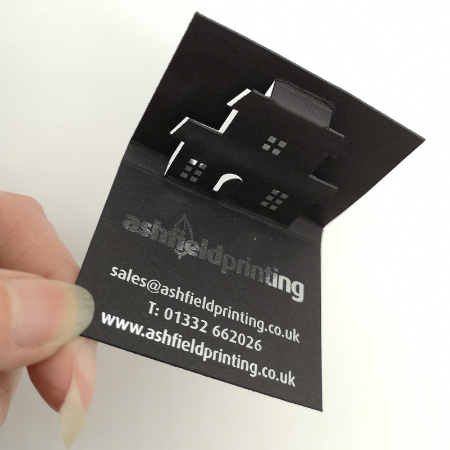 Pop-up business cards are produced using intricate cuts and creases to enable part of the card to be folded so that it pops out from the rest of the design. 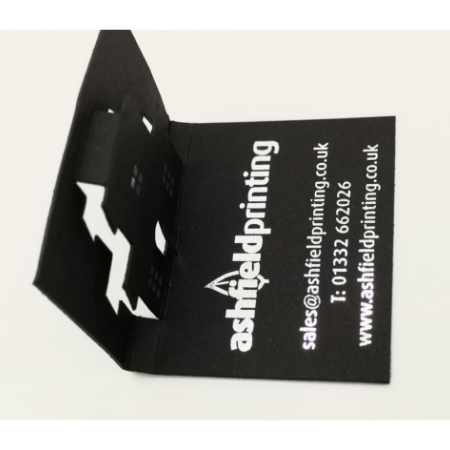 These business cards are supplied flat packed and they can be folded flat after use so that they are easy to store in a wallet, to post or to hand out. They are produced on a CAD cutting table (G3 Zund), this eliminates the need to use costly die cutting forms and means that you can order them in both large or small quantities. 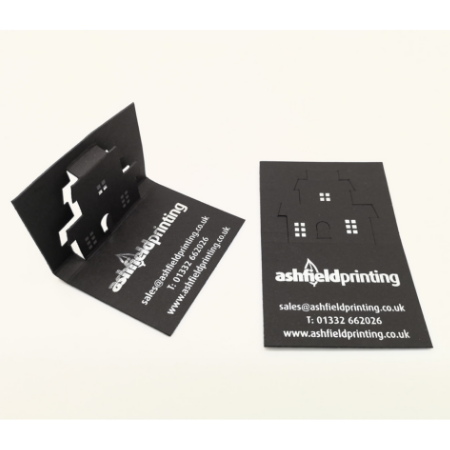 Talk to us to find out how we can create a pop-up business card for your business.